Inclusivity in gaming is important to the tabletop role-playing game community. That’s why we’re proud to announce for 2019 the title of our next book #DNDGate: Stories of Inclusivity in RPGs (#DNDGate for short). It will be a collection of stories by women, LBGTQ+, people of color, those with disabilities and other marginalized groups about their first experience playing RPGs, and how identity impacts their lives in and outside the game table. The stories inside will be written by the community, drawn from volunteers across social media. In addition, we will be working with a number of artists to help bring these stories to life, and to show how there are no gates to pass through to enjoy tabletop role-playing games and to participate in the community. Included among these artists is cartographer and designer Dyson Logos. Proceeds from the #DNDGate: Stories of Inclusivity in RPGs book will be donated to Extra Life (™), a charity focused on uniting gamers to support local Children’s Miracle Network. 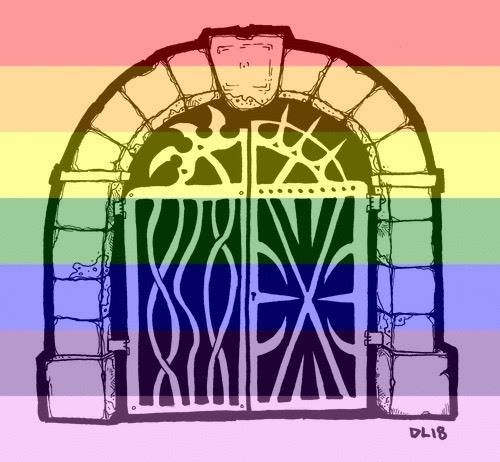 #DNDGate: Stories of Inclusivity in RPGs will be a collection of stories from women, LGBTQ+, people of color, those with disabilities and other marginalized groups who have faced harassment. Essentially, we would like to hear your stories about inclusivity in the tabletop role-playing community. We will be reaching out to people across social media platforms to gather a team of writers and designers to bring this book to life. #DNDGate is a class 41 trademark of Grim & Perilous Studios, serial number 88-011,058. Additional information about our trademark can be found at the United States Patent and Trademark Office.